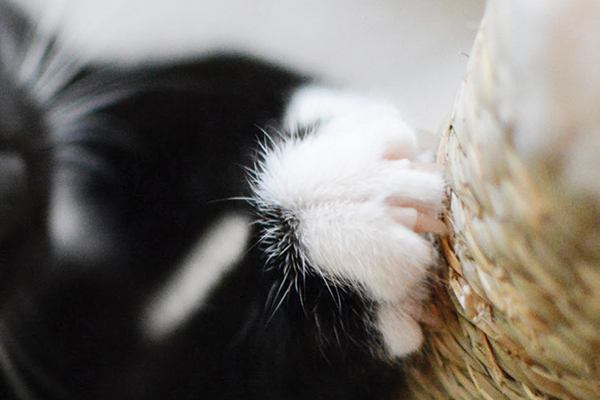 Cat declawing is one of the most hotly debated issues in the cat world, but new data might be a game changer. I’m not sure there’s anything more contentious and emotionally charged in veterinary medicine than cat declawing. Catfights are breaking out all over the country, which has caused even more rancor. But new data might also be a game changer. Cats are hardwired to scratch. They scratch to communicate. 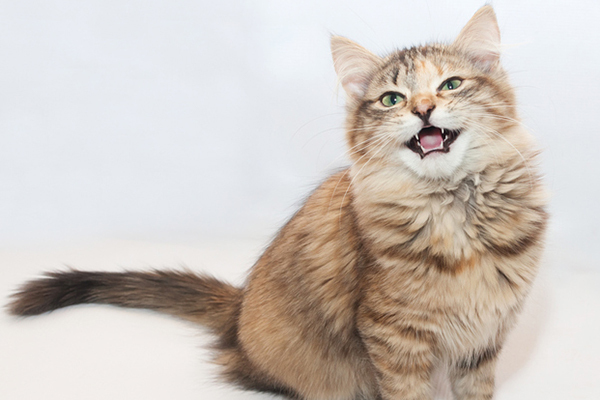 It’s what cats do — from tigers to tabbies. They leave both visual and aromatic messages (a cat’s paws have scent glands that leave smell-o-grams, which we can’t read but cats can). They scratch to remove worn nail sheaths from their claws. And they scratch because it feels good — it’s an emotional outlet. It doesn’t matter which tools are used — a declaw (onychectomy) is an amputation, no matter how you cut it. The veterinarian amputates the end section of the last bone, which contains the growth plate along the nail. Declaw is an elective surgery. Cat declawing is probably the biggest hot-button issue in the cat world. Photography by mrtom-uk/istock. Why did cat declawing start in the first place? According to Dr. Ron Gaskin of Shakopee, Minnesota, the idea of declaw surgery was first presented in a letter to the editor in the Journal of the American Veterinary Medical Association in 1952 by a Chicago veterinarian without first studying short-term or long-term effects. It was just an idea. In the U.S., over time, declawing soared in popularity as more cats were kept indoors only. Declaw was (and is still thought by many) a way to prevent scratching cats from damaging the home, and therefore preventing relinquishment. At first, many veterinarians were called butchers for the techniques used and for the lack of pain medication. Today, proponents profess techniques to be more precise and pain meds are, in fact, routinely administered. Historically, declaw was once so routine in the U.S. that it was offered as a “twofer” with spay or neuter surgery. You might even receive a coupon for a discount. Several years ago, the American Association of Feline Practitioners took a stand against this practice. However, according to Dr. Jennifer Conrad, who has a special interest in exotic animals (especially large cats), at least some veterinarians do continue to offer “specials” to spay/neuter kitty — and conveniently declaw while they’re still under. Meanwhile, today many countries around the world have banned the surgery, including Australia, Belgium, England, Germany, France, Ireland, Italy, New Zealand, Portugal, Scotland, Spain and Wales. It’s important to note that in at least some of these nations, cats are indoor-outdoor, and declawing them would leave them defenseless outside. Also, if they’re scratching more outside the house, they’re often not as destructive indoors. 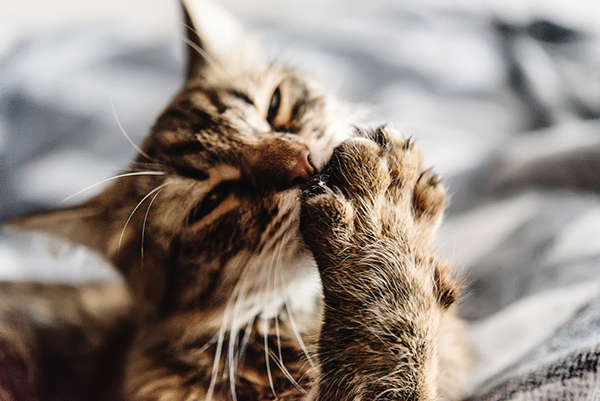 The American Veterinary Medical Association declaw position statement suggests client education (on behavior modification) should happen before declaw. Obviously, these veterinarians are not following the profession’s guidelines. Dr. Bill Folger of Houston, a feline practitioner and president of the Society for Veterinary Medical Ethics worked on the original AVMA declaw position statement. He does not do declaw surgeries himself but believes many veterinarians that do truly believe they’re doing the right thing. “Of course, veterinarians don’t want to damage cats and want to prevent possible relinquishment when cats or kittens are doing damage,” he said. The elephant in the declaw surgical suite? Dollars. Dr. Conrad said that some veterinarians and veterinary practices are paying attention to their pocketbook ahead of cat welfare. Others argue that there isn’t evidence to demonstrate that declawing is truly detrimental. Enter The Paw Project. In 1999, Dr. Conrad, who is in Santa Monica, California, felt so exasperated by the lack of movement in the profession to stop declaw that she founded the nonprofit The Paw Project. “I can assure you that if it was true that declaw kept cats in homes, I wouldn’t be fighting like this,” she said. Dr. Conrad didn’t deny that these attacks do occur from supporters of the Paw Project. However, she said the Paw Project actually opposes these fiery responses. Having said that, Dr. Conrad herself has also been attacked. “I’ve even been called a terrorist,” she said. While all this fervor continues, Dr. Gaskin is working on scientific evidence. Several studies have shown that declawed cats are no more likely to have behavior problems, specifically any more likely to have accidents outside the litter box or to bite. However, Dr. Gaskin has given more than 18 declawed cats with a history of missing their litter boxes a two-week trial of a pain relief drug (Buprenorphine), and 80 to 90 percent begin to use their boxes regularly again. Even more compelling, Dr. Gaskin noted that many declawed cats develop hyperflexion, or clubfootedness. A callus on the hyperflexed digit paw pad is common and is an abnormal condition. He said that walking on the amputated toe tips is very painful, and this chronic pain worsens over time. The pain is so intense that there’s a relationship between cortisone levels heightened daily due to pain and increased diabetes in these cats, not to mention that they might urinate outside the box, and being in pain may cause changes in personalities, so many are likely to bite or hide. With a change of gait, arthritis may more likely occur as well. So far, Dr. Gaskin has done 14 flexor tendonectomy surgeries, what he calls a “declaw salvage surgery.” Obviously, there’s no way to correct the amputation, but he does correct the club-footedness abnormality it created. He said that these declawed cats get relief from their pain. “Once published, this work will be a game changer,” said veterinary behaviorist Dr. Nicholas Dodman. 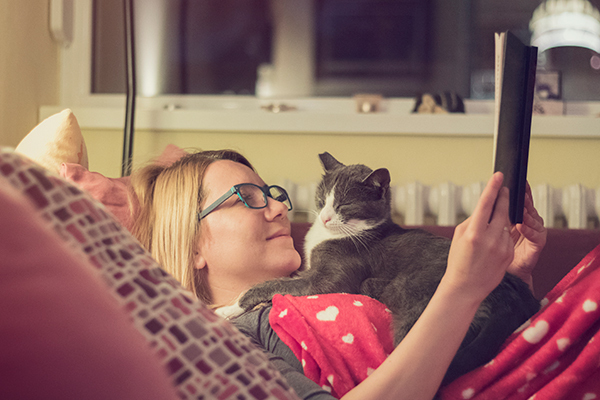 Steve Dale is a certified animal behavior consultant who’s authored several books, including the e-book Good Cat, and has contributed to many, including The Cat: Clinical Medicine and Management, edited by Dr. Susan Little. He hosts two national radio shows and is heard on WGN Radio, Chicago, and seen on syndicated HouseSmartsTV. He’s on the board of the American Association of Human-Animal Bond Veterinarians and Winn Feline Foundation. Visit him at stevedale.tv.